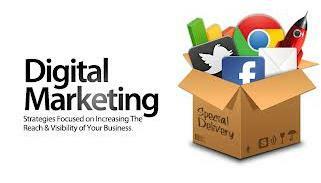 Digital Marketing: Ten things you need to know! Mobile Friendly Web Pages: Corporate sites have to be compatible with different browsers on mobile devices including smart phones and tablets. Easy Navigation: Navigation in the corporate sites should be as easy as possible, with user-centred design. Corporate businesses’ sites may possibly enable interactive information sharing, inter-operability and collaboration across Twitter, Facebook, LinkedIn Google +, Digg, Reddit, Pocket, StumbleUpon, Pinterest, Tumblr, Paper.li and ScoopIt among others. Testimonials, Blogs and Forums: Rotating testimonials are used to pull customers by providing views of satisfied customers. Marketers can create a forum where clients or web visitors can ask questions, get tech support, or post comments. Consumers themselves are quickly becoming ambassadors for businesses’ products and services. For instance, Trip Advisor and Yelp offer trusted advice, opinions and reviews from real customers. Very often, customers are posting their pictures and experiences associated with products and brands on Instagram and Pinterest. Pay per Click Advertising: Online marketing is usually carried out through Google AdWords, Bing Ads, and Facebook. SEO: The purpose of search engine optimization is to enhance the visibility of web sites in search engine results. Through effective SEO, relevant keywords will direct more traffic to web sites. Nowadays there are many firms offering professional SEO software. In addition to marketing analytics software, customers will usually access SEO and inbound marketing resources. Google Maps/Places: Google has changed the search landscape with the introduction of GoogleMaps. When web users search for places, Google locates all the businesses on its map. Social Media Marketing: Social media accounts are also open for business. Some of the latest networks allow their prospective users to login to their site from Facebookor Twitter. Video: Businesses can showcase their products or services through Youtube, Dailymotion, Vimeo and Vine. Marketeers are increasingly uploading short, fun videos which often turn viral. Email Marketing: Emails are forwarded to lists of customers and prospects which are based on their past purchases. Emails and e-newsletters are an effective way to retain existing customers. Many customers like to be informed of the latest products and offers. Hashtags: Customers’ are often invited or rather pushed to share facebook statuses / tweets about business offers and deals as a requirement to take part in competitions. Businesses and customers alike have also learned how to use the hashtag (#) to enhance the visibility of their posting. This contribution provides some good advice on contemporary digital marketing. The most successful business practitioners are those who are capable of forging direct relationships with their customers. Consumers ought to be involved in marketing and selling activities; from product development to after-sales feedback. In this day and age, it is imperative that companies value their consumers’ opinions and preferences on various aspects of the marketing mix.